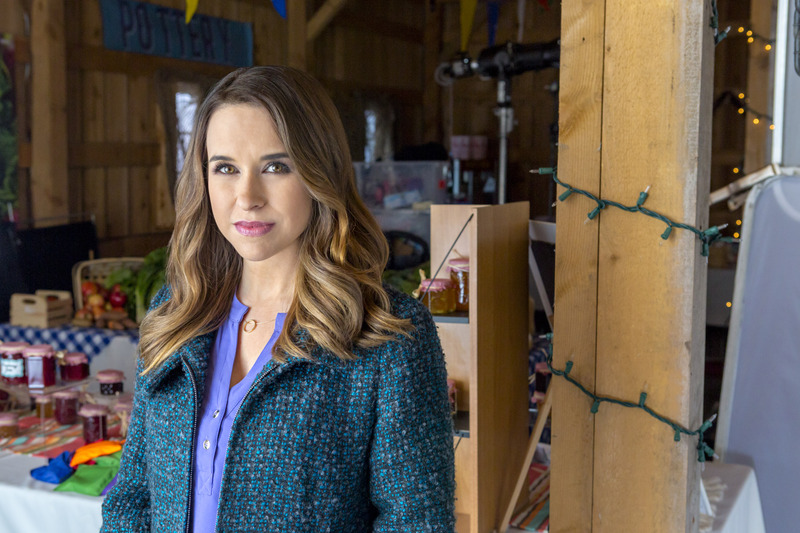 Lacey is obviously no stranger to the network appearing in several Hallmark movies including All of My Heart, A Royal Christmas and A Wish for Christmas. We had the pleasure of talking with Lacey about her latest movie, what it was like to shoot the movie in Vermont, what message she would like viewers to take from the movie after seeing it and she also talks about the future of All of My Heart. Pop Culture Principle - Can you tell us what was it about the script for Moonlight in Vermont that made you sign on to the project? Lacey Chabert - I found the character very relatable and I also appreciated the message of the story. My character learns that the best things in life truly are worth the wait. Over and over again I’ve found this to be true in my own life. Pop Culture Principle - Can you give us a brief description of the plot of the movie and a bit about your character? Lacey Chabert - I play Fiona; a very successful real estate broker living in New York. After her boyfriend unexpectedly dumps her, she decides to retreat to her family’s bed and breakfast in Vermont. While there, she unfortunately bumps into her ex who happens to already be in a new relationship. In a moment of panic, and in an effort to make him jealous, she pretends to be in a new relationship herself. Lots of awkward, funny moments stem from this fake relationship. She also learns quite a bit about herself from the pretend romance. Pop Culture Principle - Your co-star in the film is Carlo Marks. Can you tell us what it was like working with him? Lacey Chabert - Carlo and I had previously worked together on another project a few years ago so it was wonderful to see him again. He’s really talented and made for a great partner in the journey of bringing these characters to life. Pop Culture Principle - What did you enjoy most about filming Moonlight in Vermont? Lacey Chabert - This was my first job back as a new mom so I really enjoyed having my daughter with me on set. She was only a few months old when we filmed this, so it was certainly a lot to balance. I’ve always dreamed of having a family. She’s brought such joy to our lives! Pop Culture Principle - Are there any funny stories you can share while shooting Moonlight in Vermont? 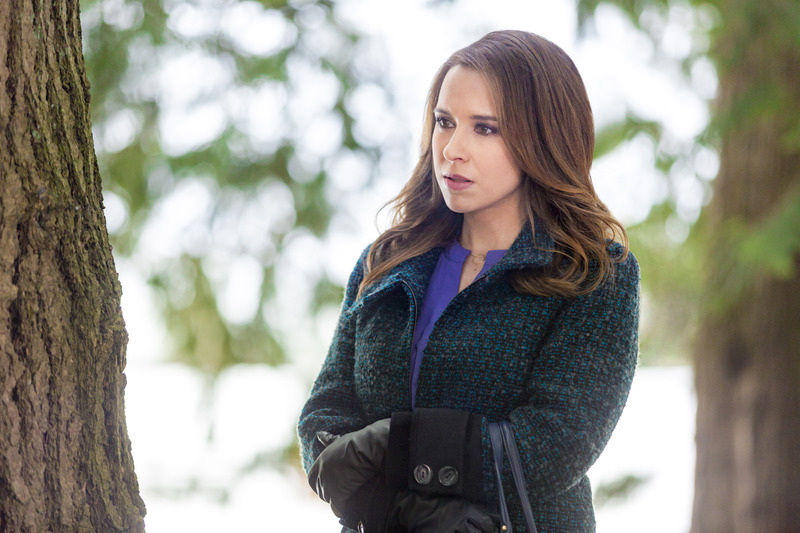 Lacey Chabert - The movie was originally intended to take place in Spring but there was about three feet of snow in Vancouver at the time we filmed! The show must go on, so we just had to roll with it. While we didn’t try to hide the snow, we tried to not act like we were freezing. We also added some dialogue about how Vermont was having an unusually snowy spring! Typically the Christmas movies are filmed in summer so you are sweating while trying to act cold so this was a bit of the opposite scenario! Pop Culture Principle - We read that all the Hallmark movies you are involved with have something authentic from your life. What was in this particular movie from your personal life? Lacey Chabert - In a Royal Christmas I wore my own wedding dress. In A Wish For Christmas I was 7 months pregnant. For me the personal touch in this movie was that Julia was on set with me and it was my first experience working away on location as a family. We created some wonderful memories. I hope our life as a family is always full of fun adventures together. Side note—We need to learn how to pack lighter. I thought packing before for just myself was difficult?! Packing for a month away with my husband and infant was pretty hilarious. We traveled with about 15 suitcases and a truck full of boxes of baby gear. I was so afraid to leave anything behind! Pop Culture Principle - You’ve now worked on several projects with the Hallmark Channel. What keeps you coming back to work with them? 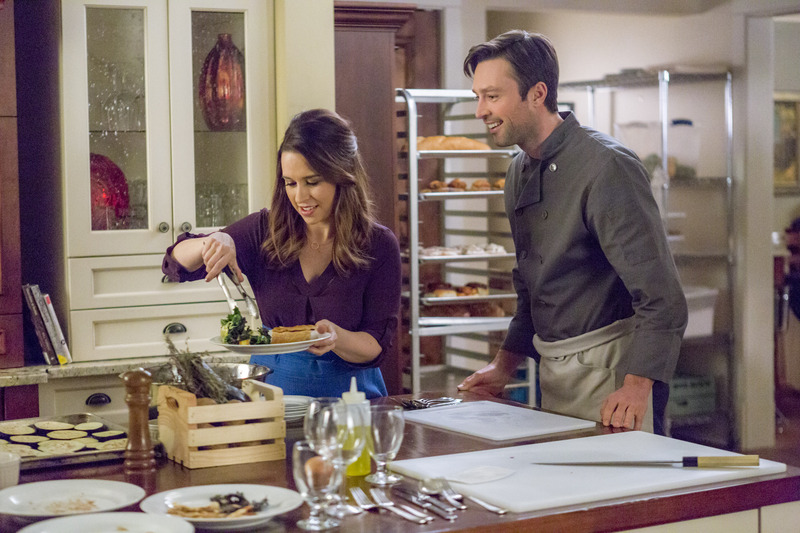 Lacey Chabert - I love that Hallmark movies always have a happy ending. Fans of the movies always express to me their appreciation that they can always count on an uplifting message. Personally I also appreciate how my friends at Hallmark take such great care of me. We’ve become like family! Pop Culture Principle - Is there a message you would like viewers to take away after viewing Moonlight in Vermont? Lacey Chabert - I think the message that was most important to me was that life is more about the journey than the destination. Sometimes we need to remind ourselves to savor the present moment. Having a child has truly illuminated that for me. Pop Culture Principle - The Hallmark Channel continues to grow in viewers and ratings. Why do you think the channel is seeing such success? Lacey Chabert - I believe they are seeing such success because they tell stories with a lot of heart. People know that the whole family can tune in for uplifting entertainment. Pop Culture Principle - The movie All of My Heart really struck a chord with the Hallmark fans. Have you been surprised at the response that movie has received? 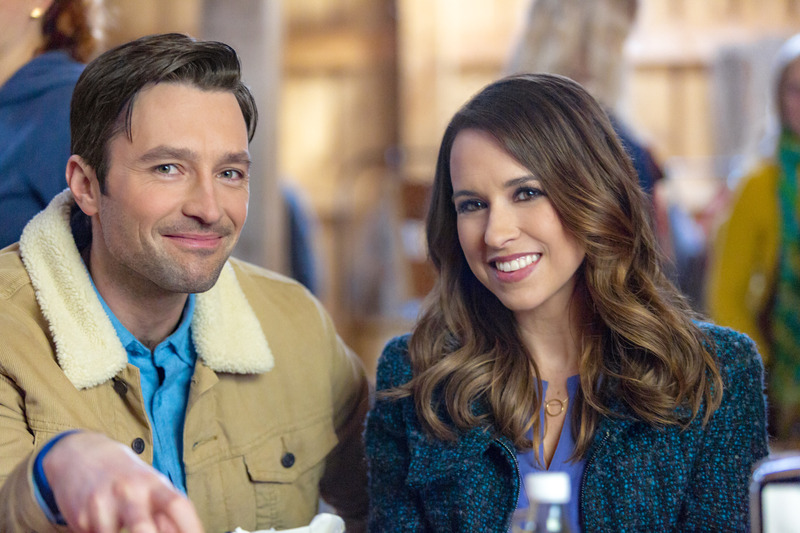 Lacey Chabert - All of my Heart is one of my favorite movies that I’ve done for Hallmark. It seems to have really resonated with the viewers and I of course appreciate the support they show for the movie. Pop Culture Principle - Would you and Brennan Elliott be open to the movie becoming a series if it were to happen? Lacey Chabert - Yes. I really enjoy working with Brennan and would love the opportunity to collaborate with him again. He’s become a great friend. Pop Culture Principle - Are you aware of the campaign to have the movie turned into a series and is there any news related to that? As always, we like to send a huge thank you to Lacey Chabert for taking time out of her schedule to talk with us! You can catch her new movie, Moonlight in Vermont this Saturday, April 8th at 9/8c only on the Hallmark Channel! I love Lacey C. In every mother vie I’ve seen with her! She is my Favorite and I will watch every movie she is going n! Thankyou Hallmark as well as Lacey and Brennan! !